Nominations for the first ever ‘Rolling Stone Metal Awards‘ is out now. The nominations list boasts top bands like Demonic Resurrection, Bhayanak Maut, Scribe, Inner Sanctum, Infernal Wrath to name a few. This List also includes some of the young and upcoming bands like Silver Tears and Guillotine. Rolling Stone is yet to announce the date and venue for these awards which is the first major step taken by a leading Magazine towards recognizing talent in India. 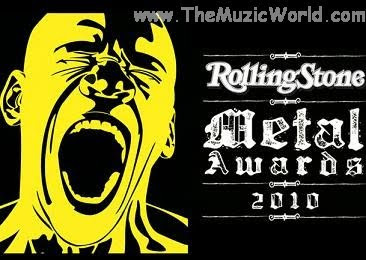 The full list of 2010 Rolling Stone Metal Awards. Another Vertigo Rush – Murphy’s Law. Bhayanak Maut – Bhayanak Maut. Demonic Resurrection – Return to Darkness. Scribe – Mark of Teja. Demonic Resurrection – “The Unrelenting Surge Of Vengeance”. Bhayanak Maut – Vinay Venkatesh, Sunneith Revankar. Blind Image – David Simon. Inner Sanctum – Gaurav Basu. Bhayanak Maut – Aditya Gopinathan , R. Venkatraman. Demonic Resurrection – Sahil Makhija. Inner Sanctum – Chintan Chinappa. Infernal Wrath - Vian Fernandes. Inner Sanctum – Abhishek Michael. Silver Tears – Biswajit Chakraborty. Bhayanak Maut – Rahul Hariharan. Demonic Resurrection – Virendra Kaith. Infernal Wrath – Prashant “JP” Paradkar. Inner Sanctum – Abhinav Yogesh. You can vote for the following categories on the Rolling Stone Metal Awards official Facebook Profile. - Best Metal Band . - Best Metal Album . - Best Metal Song . Polls close on 15th June, 2010.